Rajasthan is a state that is famous not only in the Asian continent but also across the globe for its culture and heritage. The authentic and colorful essence of Rajasthan is reflected in its markets, in its impressive dances, and the people who live to protect the culture. It is a hotspot for tourists across the world. This article specifically targets the people who travel to Rajasthan for a tour with ten tips for a good travel trip. Consulting for a travel guide from a valid traveling agency will be extremely helpful. As the state has a deep-rooted and diverse history, you will not be able to cover it all and explore all the historic places that a tourist simply cannot miss! As the case is with most travel trips, it is important to keep all your documents with you at all times to avoid any troubles. Documents for international visitors include Visa, Passports, and for local travelers, any other identification proof. This way, you can avoid having an inconvenient trip. Pack your luggage according to your time of visit. If you will be traveling during the Indian summer where the temperature peaks, casual T-shirts and shorts would be recommended. However, in the case of winters, you will be required to pack warm clothes and jackets. It is important to pack the right accessories for the trip. Especially for the shoes, you must consider carrying a pair of boots for the desert and a pair of flip flops for traveling in the city. Other accessories like sunglasses, hats, toiletries are essential on a trip. The advantage of carrying Indian currency is the ease of transaction. You will not have to look for agencies and can easily avoid last minute problems especially during shopping in the city. By carrying local currency, you can also save an immense amount of money based on the exchange value. Even though there is an abundance of palaces, forts, and historic places in Rajasthan, it is important to visit all these places of tourists attractions to understand the depth of history and the roots of the culture of Rajasthan. To completely embrace and grab a complete picture of the rich culture and heritage of Rajasthan, it is important to read about the state, its origins, its values, and ethics. Many books that serve as Travel guides to Rajasthan are available. Rajasthan is known across the world for its Pushkar Mela that spans for 5 days and attracts a large crowd with over a million attendees each year. These fairs are first on the list every travel agency crosses of from their list as a fair is a consortium of culture, food, people, shopping, and entertainment, all under one roof. 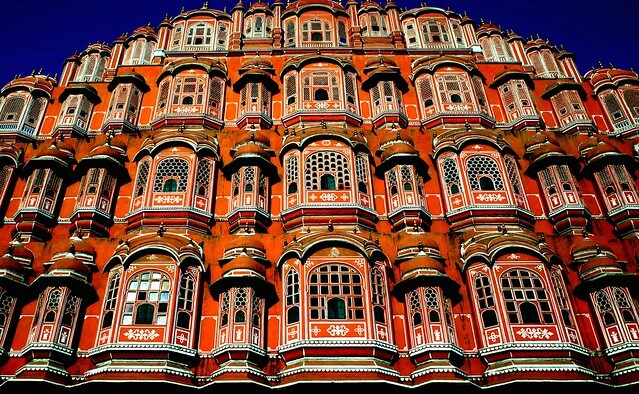 Rajasthan is a shopper’s paradise! The handicrafts on display in the state fairs are elegantly designed with precision and expertise. The clothes like the colorful cholis, accessories like the hand-made jewelry, including art and crafts are renowned across the globe for their high quality. The state of Rajasthan offers the beautiful desert of Thar, numerous palaces, and forts that dwell in Indian history, and to top it all of a Camel Fair! What a magical land Rajasthan is! So very interesting. I loved the photos. I really like your article. Love to read the amazing tips of Rajasthan.